A recently-launched feature, Rubee Tuesday is a recap of my week's adventures in dining and drinking in and around Phoenix. Wednesday, July 20th. I've been a long-time fan of Market Street Kitchen (I chose to spotlight it in a 2014 issue of AZ Wine Lifestyle), but it had been a while since I've visited this North Scottsdale gem. Well, now I have an even bigger excuse to get here more regularly: Garrit's fantastic cocktails and Secret Treasure Island Tiki Menu, and Chef Hunn's dishes, especially those drawing on his Hawaiian roots such as teriyaki "piggy wings", sockeye salmon lomi lomi, and big eye tuna poke with mango and shiso leaves. Follow this link for a detailed recap. Thursday, July 21st. It was with great anticipation that Phoenix fans awaited James Beard Award-nominated chef Silvana Salicido Esparza's new restaurant - Barrio Gran Cafe Reserva. I had made reservations the first day they were accepted, but then had to cancel, so I was really looking forward to a wonderful dinner catching up with our friend Kathy. I loved everything about it, including its intimate size (I think it seats about 25 people) and the beautiful art. 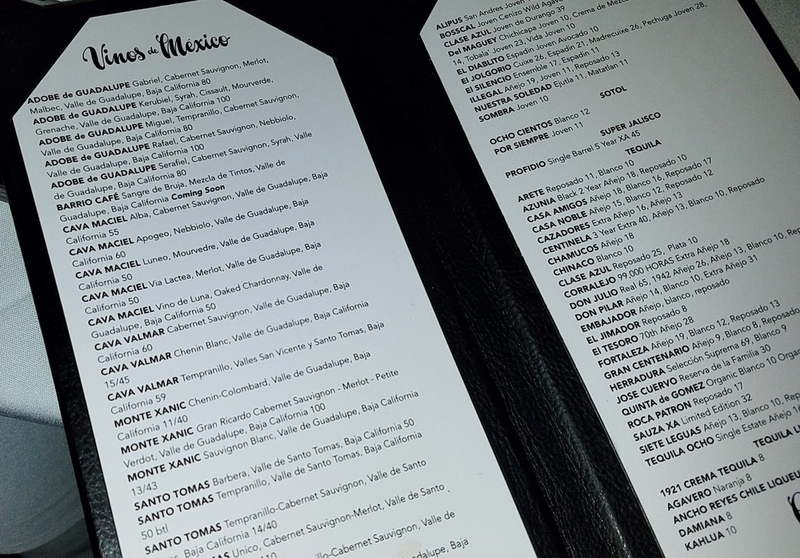 Thanks to Miranda, we had great service and suggestions, and I love the 100% Mexican wine list and cocktails using bacanora and sotol. The wonderful food really speaks to Chef's philosophy and the tasting menu is different than anything she has done at her previous restaurants. It captures the true spirit of Mexico in a sophisticated yet unassuming way. You can see a lot of heart and dreams went into this little jewel. Kathy and I chose the tasting menu, while my husband opted for a la carte items of tableside guacamole and mole du jour. Check back next week as my plans include visits to Citizen Public House, a bar competition at Wasted Grain, Deseo at the Westin Kierland, Craft 64, The Mission, Eddie's House, and Bitter and Twisted. To browse past Rubee Tuesday recaps, click this link.